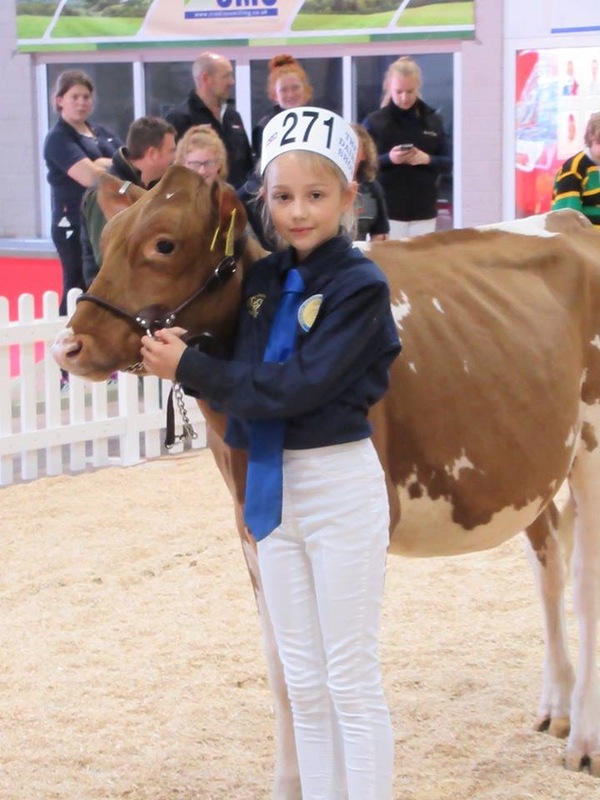 All Britain All Breeds Calf Show 2018 – Handlers Classes. 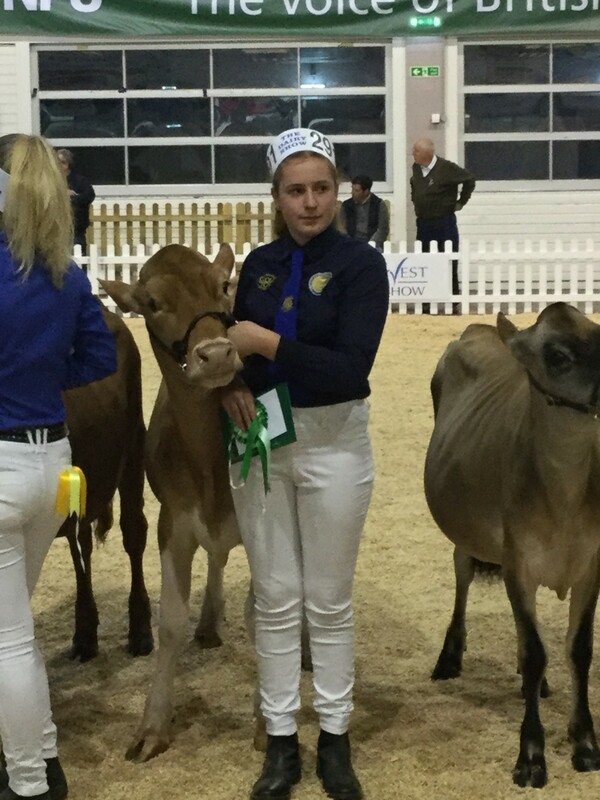 There were 11 Guernsey Handlers taking part at the ABAB Calf Show’s Handling Classes at the weekend. All coloured breeds are judged in the same class so our young people have added pressure on them. 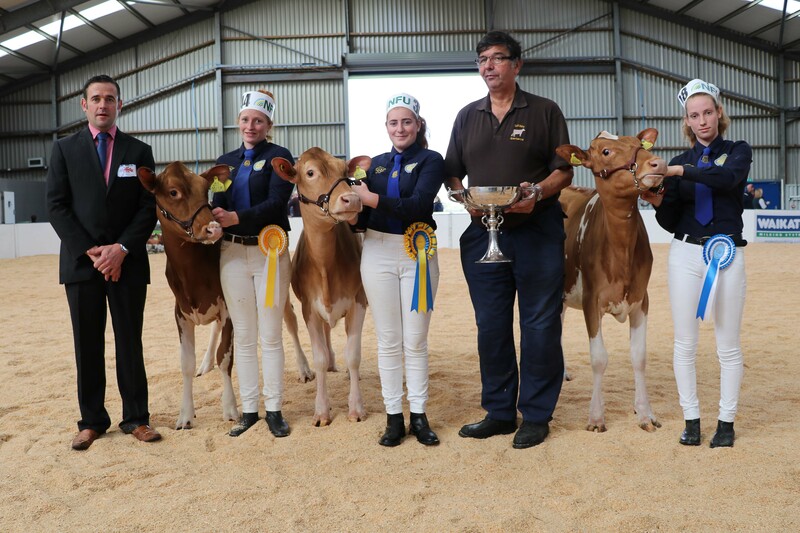 The highest placed Guernsey handlers then compete for the Breed Championship. Our Youngest ever handler was taking part and that was 2 year old Kiturah Blanch. She was joined by Elizabeth aged 3, and Rose aged 7, Harrison who were part of the Thomas’ stable. In the next catagory, 12 year old Jasmine Wells was competing. She has been taken under the wing of Richard Norman and is continuing to impress in this, her second year of Handling. So much so, she was the winner of the under 12 Handling points cup for the year. In the 13 to 15 year old section. Meghan Tolfree was placed well at eight. Taking part in the 16 to 20 year old “A” class, were Margaret Thomas, Charlotte Limond and Shannon Dawes. Charlotte was placed a very creditable 4th. In the “B” class Michael Dawes and Robert Thomas were in action. The Mature handler class saw Georgie Sweet as our only representative. 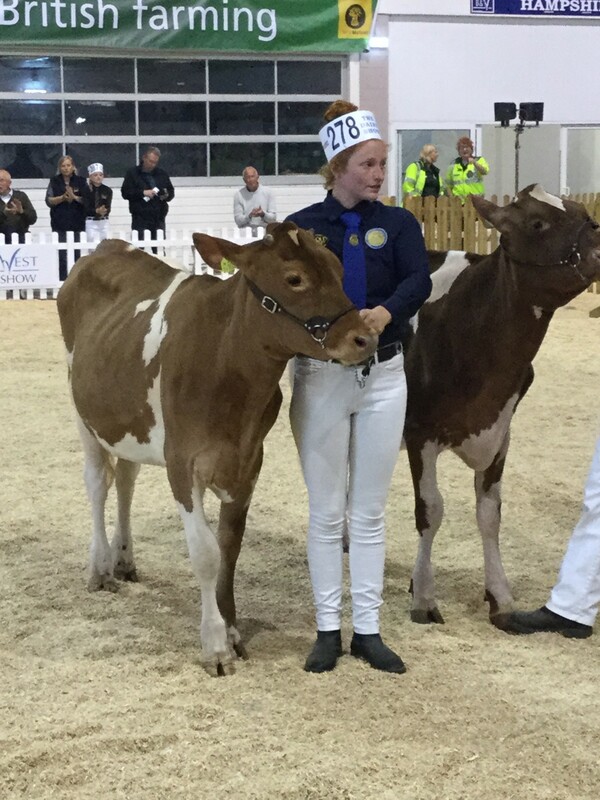 In the Guernsey Championship, Charlotte Limond was Champion with Shannon Dawes in Reserve and Georgie Sweet Hon Mention. Charlotte was also awarded the Intermediate Points cup with Georgie Sweet winning the Senior Trophy. The EGCS would like to thank ALL those taking part in the weekend’s competions.The Dawes Family, The Thomas Family, The Limond Family, The Sales Family, Hinton Farm, Kate and Ella Robinson, Matt Blanch and Georgie Sweet and especially Richard Norman who went above and beyond to ensure calves got to the event! Finally, a big thank you to our FGB Co-ordinators, Caroline Huins and Laura Sales for their stewarding duties. Winner of Under 12 Points Cup, Jasmine Wells. Winner of Intermediate Points Cup, Charlotte Limond. Winner of Senior Points Cup, Georgie Sweet.